We are delighted to be able to offer this fabulous property situated on the Sesmarias Country Club just a few kilometres from Carvoeiro. Furnished to the highest of standards in a modern contemporary style, Villa Colina offers space and comfort in a great setting with stunning views across the rolling countryside towards the Monchique Mountains. With a café, bar, shop, mini-supermarket, takeaway and a handful of restaurants all within walking distance means you do not have to always rely on your hire car for the rare occasions when you will want to leave this wonderful property. 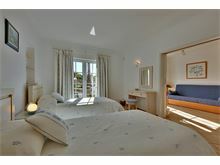 The villa has been thoughtfully designed and is extremely comfortable for six, although two of the bedrooms have separate areas divided by sliding doors that can be used as dressing rooms or as additional single bedrooms, one with a single bed and the other a sofa-bed. The grounds of the property are also equally well designed from the delightful breakfast terrace, accessed from the kitchen, to the pool side barbecue area complete with double ceramic hob, and kitchenette, perfect for the holiday barbecue specialists! Approximately 4 kms from the beach and shops although there is a mini-supermarket and several restaurants within walking distance. Open plan sitting/dining room with TV, DVD and CD player, modern fully equipped kitchen including dishwasher, microwave and washing machine, 1 twin bedroom with air conditioning which has an interconnecting bedroom with ceiling fan and a sofa-bed and access to a terrace, 1 shower room. Stairs lead to the master bedroom (twin mattresses on a double frame) with air conditioning and shower room en suite, 1 twin bedroom with air conditioning which has an interconnecting bedroom with a single bed and balcony access, 1 bathroom. Maid service 5 times per week. Air conditioning and pool heating are available at extra cost, if required. 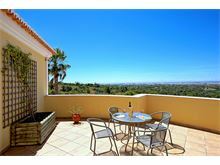 Stunning panoramic views over the valley to Portimão. Loved our villa, in a very quiet location with a car being a must have! I would say that the local beach is too far away to walk with children. Local beaches are beautiful, all our meals in the town were of a good standard. At busy times pre-booking a table in the nice restaurants is advised as they are all fully booked! Our villa pool was great and the Villa its self was very comfortable and clean, all round great holiday. The villa is very nice with lovely gardens. It is located in a strange place and down a small winding road. 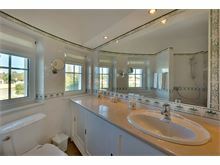 I It is very good, and around the back is great.The rooms and bedrooms are good. Villa was superb and had an absolutely fantastic Social space, pool area and Gardens. The Villa itself was very well equipped with everything needed for the kitchen and BBQ. The Pool was heated perfectly and the TV / Wi Fi worked well for the kids when they wanted a break from the hot weather. Air conditioning in all the Bedrooms was a blessing on the hot nights. Amazing views from over the Valley below and Gramacho / La pinta Golf course. 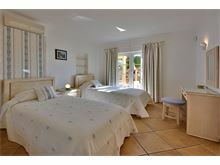 Carvoeiro is only a short 5 minute Drive away as well but given the location a rental car is a must if staying here. Villa is only around 5 minutedrive to the local Intermarche / Apelonia and Pingo Dolce supermarkets in Lagoa for anything required. Great Holiday and would 100% return to this Villa again in the future. Our second family holiday in this fabulous villa. Our children particularly wanted to return here. 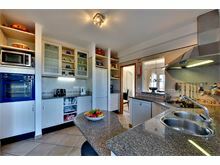 The kitchen is so well equipped with every conceivable gadget plus it has quality fridges x 3, miele dishwasher etc. Great for al fresco dining and Pete's bar is a real bonus. It's so lovely sitting there in the evening. Great BBQ area. A beautiful, spacious villa. Very well equipped, a super barbecue. Especially liked the different areas for eating outside. The maid service was excellent. 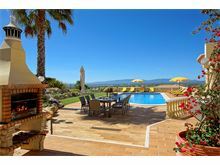 Fabulous villa with a great pool and lovely views. 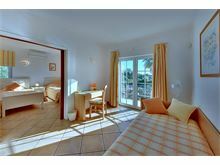 The villa is situated in a great location close to some lovely towns which are worth a visit. Would visit this villa again and would recommend Affinity Villas to others. This was the perfect family holiday for our type of family. We have 4 kids between 16 and 23 and they both enjoy doing things and doing nothing! 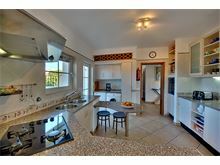 The villa is beautifully designed and well appointed. The position is both quiet and rural yet walking distance to mini market with its own excellent bakery, and good restaurants. The sea is only a mile away so ideal for exploring the coast by boats. Every day we did something but also enjoyed the pool every day too. As the barbecue of the family, I loved its location, next to Pete's bar, in the shade of a palm tree and close to the pool: idyllic! None of us wanted to leave, and all of us want to go back to the Algarve soon! 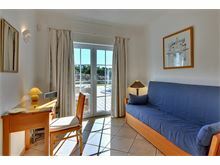 Lovely location away from hustle of main resort but with shops and restaurants in walking distance. Lovely garden area. Great taxi service recommended in the information on arrival and first class transfer to and from airport. Villa Colina was everything that you promised. The maid service was excellent. The pool was a great hit with the whole family and overall all three generations were catered for. This is our third holiday with Affinity Villas. 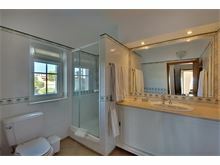 We've been very happy with the first two but Villa Colina was a noticeable step up in class. The villa was spotless. The maid service effective and discreet. The location is stunning and perhaps the most outstanding feature is the plethora of outdoor seating areas which caters for literally every time of day. 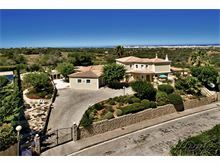 That culminates with simply outstanding west facing views over Portimao and the Monchique mountains. Some of the sunsets were breathtaking and the fact the villa isn't overlooked created a degree of privacy with is completely at odds with what might be expected as you approach the villa. The villa is also extremely well equipped. Pool towels were a welcome unexpected bonus. Finally just to add that the service from Affinity Villa was as good as ever. In these days of direct internet bookings and the perceived associated cost savings, you present a service which provides reassurance and takes away a lot of holiday stress. Thanks again. The villa was fantastic, so very well equipped, as the weather was so good we spent very little time inside. The barbecue area was good and it had it's own bar! The villa was so clean and the pool was wonderful, we all made good use of it. The views were glorious, it was so peaceful , it was in a superb position. Only a short drive to so many beautiful small beaches, altogether a wonderful holiday, nobody wanted to go home. What a fabulous villa! So many outdoor places to eat, great toys available for the kids to play with in the pool and really secluded from neighbours. Ideally located for visiting various places and great to then come back to the luxury of the villa with all the home comforts. Without a doubt the best family accommodation we have ever stayed in. 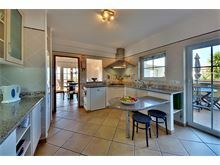 Excellent villa very well equipped. My family have just returned from this fabulous villa which catered for our needs in every way. 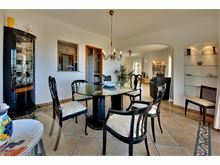 The location is great with fabulous views and I would recommend this villa to everyone. The maid service was excellent and we had a great holiday. Thank you. 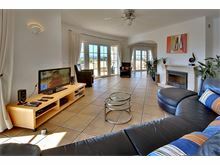 Fantastic family villa with fabulous views. Blending privacy with convenience as only a short taxi ride to restaurants and shops. There are places to sit in the sun from sunrise to sunset - truly beautiful. Excellent. Every need catered for. Our stay at Colina was wonderful and we hope we will be able to return one day. Highly recommend. 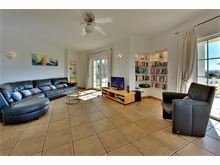 A fantastic villa, well equipped to a high standard. Immaculate on our arrival and maintained by the maid daily with fresh linen & towels. First impressions was the villa was in a housing estate but its location is at the end of a cul-de-sac in an elevated position with clear views to the rear, lovely private gardens and pool area and not overlooked by anyone. Usually we try different places for holidays, but Villa Colina is somewhere we would go to again. Highly recommended. We had a great time at this beautiful villa we couldn't fault it everything had been thought of. Would definitely recommend this villa and hope to return.